Further our commitment to provide the best dental care possible for our patients, we invested in a CT scanner. Conventional radiography has already been eliminated at IGDP Limited. Digital radiography typically reduces radiation exposure by 75% or more. We can provide a higher level of care when using digital X-ray equipment. 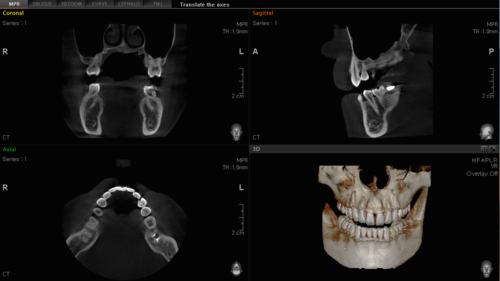 Clarity and detail are crucial in dental imaging. Digital X-ray equipment provides image quality that can surpass traditional film, bringing out the finest of detail that might have been missed on film. Digital X-ray systems let us control the exposure of each image in real time, so we can make images darker or lighter on demand. We can also enlarge images, make enhancements to color and superimpose textures. These features improve our ability to detect disease and its current state. They also provide immediate visuals for compelling patient education. All this adds up to faster diagnosis and treatment planning.